So we all have our “thing” that we collect, obsess over and love way too much for an inanimate object…my thing isn’t really a shocker…JEWELRY!!!! I am a non discriminating jewelry collector, wearer, lover…but I do have a MAJOR CRUSH on vintage jewelry. 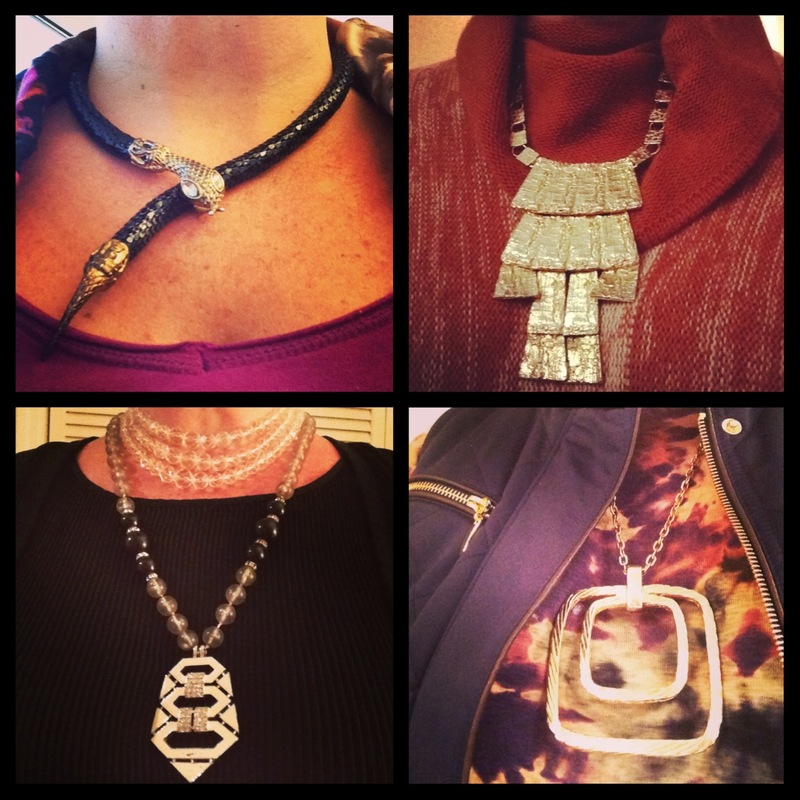 I found myself in a bit of a rerun episode of my jewelry box so gave myself the November Necklace Challenge…a different necklace each day of this month. 1) in honor of year of the snake this slithery creature kicks off the month. 2) golden shield of awesomeness. 3) squared square golden treasure. 4) pulled double duty with a triple strand of crystal from my great-grandmother (Mama P) and then for bonus points added this Kenneth Jay Lane vintage deco piece that I got for my birthday this year from the May Brimfield Show.